Constitutional Communications cybersecurity educators began 2019 by partnering with the American Bar Association’s Rule Of Law Initiative to assess organizational security threats and train lawyers and staff on cybersecurity and legal ethics. Over the past couple of months Constitutional Communications initially supported a cybersecurity risk assessment of the team and organizational programs. Our risk assessment then culminated in a responsive training for key staff in the Rule Of Law Initiative to bring the team up to speed on improved encryption implementations, secure access and credential practices that uphold current international law, ethics and human rights standards. What happens when a lawyer connects a laptop containing sensitive client information to a public Wi-Fi network or prints out documents from a hotel printer? 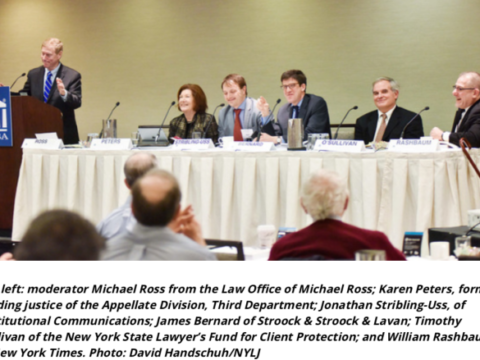 Those scenarios could put lawyers—and their clients—at an increased risk for data leaks and hacking, said panelists at a Tuesday discussion at the New York State Bar Association’s annual conference (http://www.nysba.org/am2018/) in Manhattan. 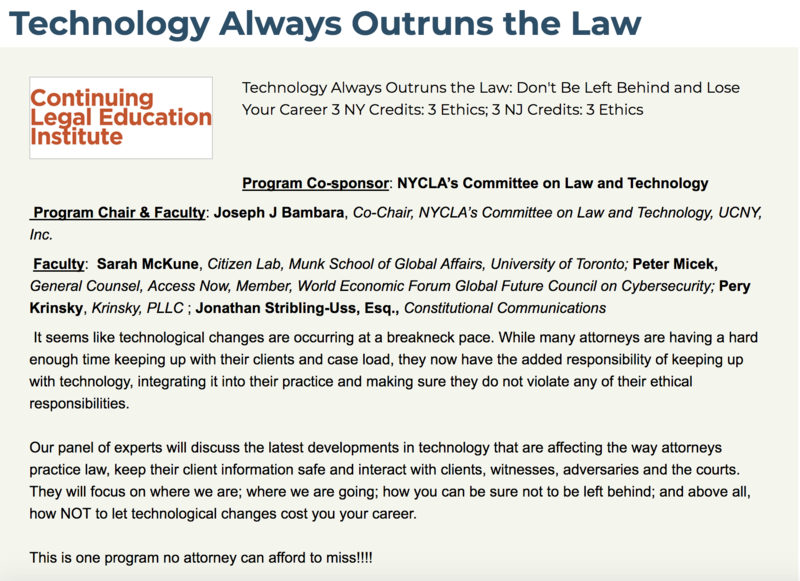 One takeaway from the discussion, which was centered around data security in an attorney’s day-to-day-practice and related ethical obligations, is the importance of using an encrypted communication device in transmitting client information. 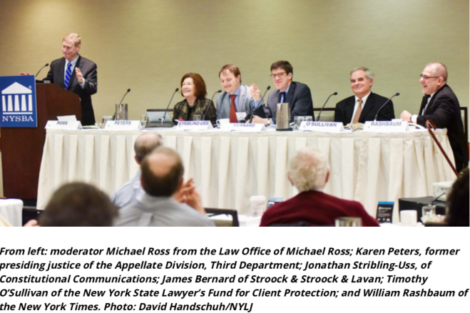 Encryption is often “client dictated,” not law firm-driven, said panelist James Bernard, a partner at Stroock & Stroock & Lavan who also serves as general counsel to his firm. Many clients, particularly financial services companies that are concerned about unauthorized access to personally identifiable information in their customer base, will use encrypted email, sometimes exclusively, in communications with law firms, Bernard said. Some corporate counsel or firms even have internal reviews to make sure legal staff are sending encrypted email. “They get dinged if they don’t send out encrypted emails,” Bernard said. in ethics and disciplinary matters, said some engagement letters can even set out standards of encryption lawyers promise to provide. If lawyers are not using encrypted technology, they could be exposing client confidential information, said panelist Jonathan Stribling-Uss , a lawyer, digital security consultant and director of Constitutional Communications, a nonprofit that specializes in information security. In the situation of a lawyer using a public Wi-Fi network and sending email “that does not have end-to-end encryption,” that communication could be read by someone also on that network and the connection itself could be changed to allow for some sort of malicious attack, Stribling-Uss said. “That’s totally possible with any public Wi-Fi connection,” added Stribling-Uss, who also noted that printers can store documents for years and also be hacked. Another panelist, Karen Peters, a former presiding justice of the Appellate Division, Third Department, said an attorney’s ethical obligations vary depending on the firm. “Are you talking about a large law firm with hundreds of lawyers that has an international presence? Then I would think their obligation to ensure confidentially to client data is a much higher obligation,” said Peters, noting that such a firm’s clients have information that hackers are looking to acquire, unlike a small firm in Plattsburgh, New York, handling family law or Surrogate’s Court work. that her former colleagues on the bench must now face. “The question I would think for any judge who has this situation in front of him or her is, ‘What was reasonable under the circumstances,’ and those change depending upon the kind of business you’re in,” she said, citing Rule 1.6 of the New York Rules of Professional Conduct. Still, a firm of any size can be targeted. Timothy O’Sullivan, executive director of the New York State Lawyers’ Fund for Client Protection, which reimburses client money that is misused in the practice of law, said a common scheme is an email solicitation to lawyers that asks them to deposit a check in escrow and then disburse the money. “Turns out that check was bogus,” but it’s not caught right away, said O’Sullivan in describing the scam. Peters raised another hypothetical for any firm: An executive assistant, in their spare time, uses an office computer for online shopping, social media and other internet surfing. Is it best for the law firm to be rigid with staff on how they use the equipment in the office? Stribling-Uss said that firms should be strict, confirming that personal use of equipment by staff can expose law firms to hacking. Stribling-Uss, however, said that firms don’t have to pay a fortune “The best types of encryption are actually free,” he said. “You’re being fleeced by these security companies,” he added, pointing out encryption apps such as Signal and WhatsApp. Meanwhile, notices at the end of law firm emails noting that any information included in them is intended only for the person to which is it addressed with unauthorized access being strictly prohibited is “mostly just catnip” for hackers, Stribling-Uss said. Another takeaway from the discussion is just “to be smart and start thinking about these issues more often,” said Bernard, noting that various ethics opinions on this subject are situational. “You definitely need to be thinking about this all along a graded scale, if you will, in terms of how important the matter is and what it is you’re transmitting,” Bernard said. We are happy to say we made significant gains in 2017. We achieved the most exciting impact around our training series. We completed two Roadmap Consulting six week cohorts for movement digital security staff from thirty-two organizations, with digital security trainer Iliea Burgos. We also finished a series of trainings with Harlo Holmes of Freedom of the Press Foundation for nearly a dozen member organizations of the Center for Media Justice. We led a digital security series with Social Movement Technologies and wrote a section of the nationally distributed digital security planning material for Roadmap’s “Weathering the Storms: Toolkit”. We also worked with Roadmap on intensive digital security webinars with PICO, Family Values at Work, National Day Labor Organizing Network, (NDLON), and MASA. – Mike Thorp, New Era Colorado, Roadmap/ConComms Cohort . 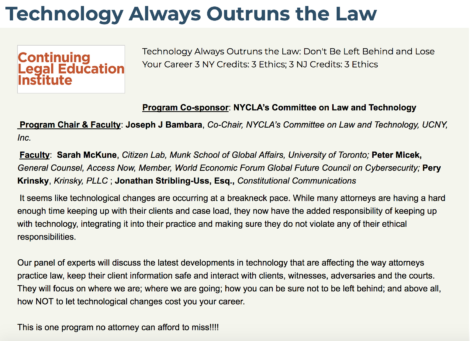 In our work to support attorney ethics we had our legal ethics trainings distributed nationally by The National Academy of Continuing Legal Education and conducted three ethics and rights trainings for attorneys at the NY County Bar Association (NYCLA). We also completed a six month organizational digital security planning and implementation process with Palestine Legal. In total, our cybersecurity trainings this year reached more then one thousand people, including over one hundred attorneys. Marcus Christian. Photo by David Fonda. The Panama Papers leak made global news in April, providing detailed financial and attorney-client information showing how the world’s rich and powerful hide their money through shell corporations. Not only did this leak hurt its clients—ending the prime minister of Iceland’s career, for instance—it also crippled the hacked law firm Mossack Fonseca. While Mossack Fonseca was a headline-grabber, it experienced just one of many recent law firm hacks. Cravath Swaine & Moore has acknowledged it was hacked, and news reports listed “dozens” of other law firms that were targeted by a Russian hacker. Most of these firms denied important information was compromised. On account of increased and evolved attacks, attorneys and companies are rethinking cybersecurity. It is not sufficient to merely have anti-virus software. Plans for when a breach happens and software that can help ameliorate the damage are emerging cybersecurity trends. There are three major cyberthreats to law firms, Dembosky says. These include ransomware, which locks users out of their computer or network until they pay a fee; ideologically motivated hacks, as with the Panama Papers; and hackers looking for insider trading information. Jake Frazier, senior managing director at FTI Consulting, explains that “historically, the information security world has taken a fortress approach.” This approach is a reliance on anti-virus software, proxies and firewalls—all intended to keep malicious software out—but which provide poor protection once this perimeter security is compromised. Evolving past the fortress mentality, attorneys and law firms are learning to plan for a breach. Marcus Christian, a partner at Mayer Brown in Washington, D.C., helps companies create such a plan. The team can be varied: digital forensics experts, crisis communication firms, and regulatory and legal teams can all play critical roles in the first 72 hours after a breach. To help others create a plan, Christian and his colleague Stephen Lilley wrote Preparing for and Responding to a Computer Security Incident: Making the First 72 Hours Count (PDF), which can be obtained via Mayer Brown’s website. Meanwhile, on the software side, two cybersecurity companies, enSilo and Terbium Labs, are also moving beyond the fortress approach. This mentality is reflected in the product: EnSilo maps a computer’s operating system to later find modifications in the form of malicious programs. According to Katmor, these intruding programs violate operating system instructions in order to remain stealthy and unobtrusive, making them hard to detect. The enSilo product creates constant triage, Katmor says, which blocks the malicious software and allows the operating system to work uninterrupted. According to a Verizon Risk Team report, it takes months before a target is aware its data has been taken, also called exfiltration. The report says 92 percent of data breaches in 2015 were found by someone other than the target, often by law enforcement or a compromised client. Tackling the detection problem, Baltimore-based Terbium Labs built Matchlight. This platform creates a unique fingerprint for sensitive data such as employee Social Security and credit card and source code. Once a fingerprint is created, an automated tool called a web spider crawls around the web looking for these fingerprints. When the spider finds a fingerprinted document, often on so-called dark web markets, the owner is immediately informed that a data breach occurred. Matchlight “brings detection time from a couple of hundred days to a couple of minutes,” says Tyler Carbone, COO of Terbium Labs. Still, even with the creation of new tools and improved preparedness, some precautions are tried and true. The Verizon report found in 2015 that 63 percent of confirmed data breaches involved weak, default or stolen passwords. How to guard yourself against ‘turnkey tyranny’. Speaking on Capitol Hill yesterday, National Intelligence Director James Clapper raised concerns over the “disparagement of the U.S. Intelligence community” and the “existential threat” posed by Russia. But the results of last year’s elections should raise even greater concerns for all of us. “If I had it to do all over again, I would know a hell of a lot more about cybersecurity,” Donna Brazile, interim-Chair of the Democratic National Committee, remarked in a recent interview, reflecting on the disclosure of planning information from the Democratic National Committee (DNC) and the Clinton campaign by Wikileaks. Trump’s rise was in large part driven by the success of hacking operations. He has consistently praised hacks and encouraged them, provided they have supported his quest for power. Now, we have the terrifying specter of Trump gaining direct control over the most invasive NSA surveillance programs the world has ever seen. Edward Snowden’s (not to mention George Orwell’s) nightmare of totalitarianism hangs over our heads. Trump has surrounded himself with some of the most extreme dirty tricksters that we have seen in modern politics. There’s Steve Bannon for one, who headed Trump’s campaign and is now chief strategist and senior counsel for the White House. Bannon previously managed Breitbart Media — infamous for posting videos which falsely appeared to show employees of the community organization ACORN providing criminal advice to clients. Much of ACORN’s funding was subsequently cut, resulting in its dissolution. Another key Trump associate is James O’Keefe, who shot the ACORN videos and who got two democratic staffers fired with a video sting at the height of the 2016 election. O’Keefe’s Project Veritas received $10,000 from the Trump Foundation in May of 2015. The most violent of the group is probably Jerry DeLemus, Trump’s New Hampshire campaign co-chair who was indicted by the FBI as part of Cliven Bundy’s militia organization, which led the armed standoff in Oregon against the Bureau of Land Management. These are all very dangerous individuals who will use every tool at their disposal to build political power on the backs of communities of color, women, workers and civil society as a whole. Given the prevalence of hacking, it is long past time all of us, especially those of us work within targeted communities, use secure end-to-end open source encryption systems to protect our data and communications. Here’s one positive thing to understand in these dark times: Thanks to thirty years of collective work on the part of coders in the Free and Open Source Software (FOSS) movement, tools that can prevent most types of digital attack, even from the NSA, are free for non-profits and individuals. Start using end-to-end open source encryption for all sensitive communications before Trump takes power on January 20. Here is a list of tools you can use to protect your privacy. It first ran in The Indy over the summer but is more relevant than ever now. Signal is the easiest and most secure encrypted text and calling program, with more than one million users. The app is free and takes 3-5 minutes to get started. It can now be used with both your phone and computer. A free service, requiring no account, that allows for multiparty, end-to-end encrypted video calls and chats. For more usability you can install a download, but it is not necessary to get started calling friends around the globe. A free browser that uses encryption and a random series of open routing computers to separate your actions online from your IP (internet protocol) address, providing anonymity. With robust symmetric encryption, when you lose your password, you lose your data. This means that you have to create passphrases, not just words, that are easy for humans to remember but hard for machines to guess. The simplest way to do this is to use at least four random words, and a number or given name. For example; “correcthorsebatterystaplenatturner”. A free, open source, end-to-end encryption system that has been used and tested for over 25 years. It is designed to supplement your current email address, so you don’t need a new email, you can just add this asymmetric encryption system over the top of your current provider. A free, open source operating system that can be run on most computer hardware and secures your traffic and data on an encrypted USB. It is based on one of the most used operating systems, Debian, and it is packaged with a full set of office and encryption tools. Constitutional Communications article “In an Age of Mass Surveillance, Encryption Gives Us an Edge” was chosen as one of the best articles of 2016 by the staff of the Indypendent! The Indypendent is a New York City-based free newspaper and online news site. Winner of more than 50 awards from New York Community Media Alliance for excellence in journalism, it has a print and online audience of more than 100,000 readers. Check out 52 of The Indypendent’s best articles from 2016 — one for each week of the year — as they look back on thier coverage of both the year’s historic presidential election and of left social movements working for change from outside the electoral arena. The vast system of U.S. surveillance will soon be in the hands of a President who has pledged to violate our constitutional and human rights. Now more than ever, organizers need to act to protect their digital security so we can continue to work for democratic social change. Join this webinar to learn practical steps for securing your data and communications, both individually and collectively. Together we can ensure our movements are safe enough to take risks and strong enough to win. This webinar is free for MAG-Net members and $50 for non-members. The Media Action Grassroots Network (MAG-Net) mobilizes a media justice movement to end racism and poverty. Member organizations amplify the voices of impacted communities to win communication rights and power. To find out about membership contact angella@mediajustice.org. Jonathan from Constitutional Communications recently sat down with Law and Disorder radio for an indepth conversation about the recent Oliver Stone Snowden film and client demands for end to end open source encryption. Law and Disorder is a weekly, independent radio program airing on more then 60 stations across the United States and podcasting on the web. Law and Disorder radio gives listeners access to rare legal perspectives on issues concerning civil liberties, privacy, and the right to dissent. Three of the top progressive attorneys and activists host the program and consistently bring a diverse line up of guests from grassroots activists to politically mindful authors. Listen here to the segment. As the general public becomes increasingly aware of the value of using open source encrypted communications, several groups of professionals may be among the first to regularly use it in their work. Members of the press already provide open source whistleblower submission systems, such as Secure Drop, to protect the anonymity of anonymous sources. But how do attorneys protect their privileged client communications? 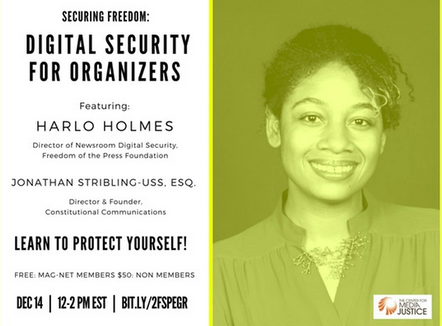 Jonathan Stribling-Uss founded Constitutional Communications to teach attorneys, activists and others to use open source encryption for all their communications. The group is aptly named given that “Our current system of Internet communication is not constitutional, especially with respect to attorney/client communications,” according to Stribling-Uss who is also a member of the National Lawyers Guild. The group has already provided intensive training sessions on digital security domestically and internationally for nearly 300 civil society leaders from dozens of countries. Guest – Attorney Jonathan Stribling-Uss, director of Constitutional Communications, a nonprofit organization that specializes in information security for professionals and civil society organizations. 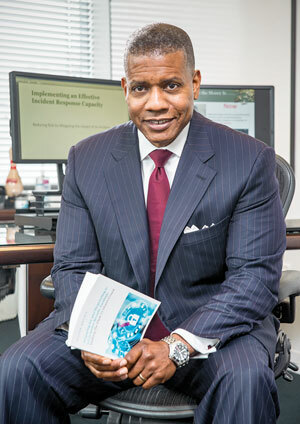 He has led trainings and accredited CLEs (Continuing Legal Education) for hundreds of attorneys and law students on cybersecurity, professional ethics, international law, and attorney-client communications with the NYCLA (New York County) Bar Association, Law For Black Lives, and the Continuing Legal Resource Network at CUNY (City University Of New York). He has also trained journalists, foundations, activists, and technologists from more then 40 countries at the Center for Constitutional Rights, Thoughtworks global corporation, the International Development Exchange, the Legal Clinics of the CUNY School of Law, and The Florestan Fernandes National School in Brazil.